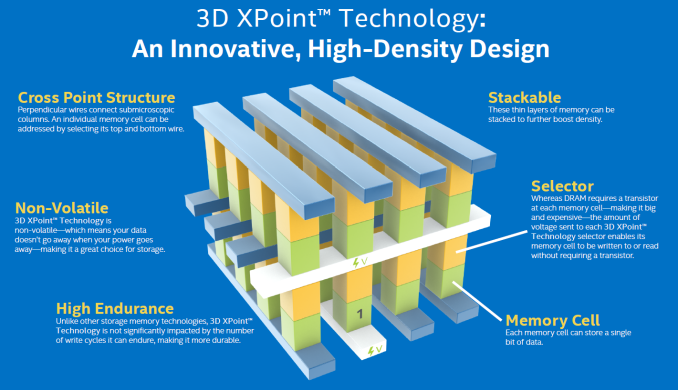 At IDF 2015 this year Intel has announced that their forthcoming 3D XPoint technology based products will be sold under a new brand for the company, Optane. Finally, as part of the Optane announcement, Intel also gave the world’s first live 3D XPoint demonstration. 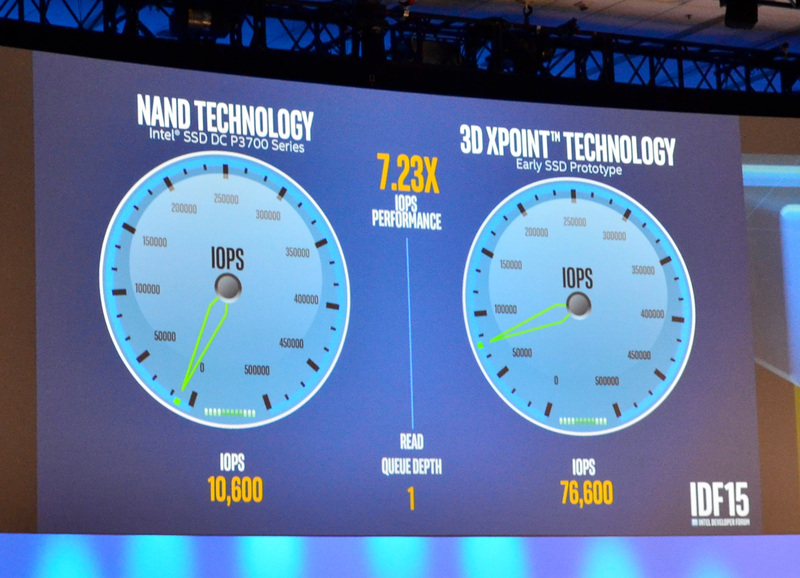 In a system with an Optane PCIe SSD, Intel ran a quick set of live IOps benchmarks comparing the Optane SSD to their high-end P3700 SSD. The Optane SSD offered better than 5x the IOps of the P3700 SSD, with that lead growing to more than 7x at a queue depth of 1, a client-like workload where massive arrays of NAND like the P3700 traditionally struggle to achieve maximum performance. For a boot M.2 NVMe drive, I'd gladly pay $200-300 for 128GB with that speed and RELIABILITY. Would be great in addition to a couple of Samsung 1TB 3D TLC SATA drives (on sale hopefully) in RAID 1 for storing the rest of my important files. Maybe we shouldn't be talking about pricing yet? They had said that these would be expensive in the beginning, and for enterprise use. I believe that. I've also read that they said that it wouldn't be priced anywhere near consumer drives for years.